Bringing more light into the heart of your home is usually the main goal of utilising any kind of glazing in your home improvement plans. But what are the options available? Obviously, space, your style of home and layout, all have a role to play when choosing the best option for lighter living. But just what options are there besides rooflights? Vision AGI have some innovative and inspiring ideas to add to your light moodboard. Here are five ways to be inspired by the light utilising glass solutions. Glazed Gables. If you are adding an extension with gables then it makes sense to consider glazing them. Glazed gables not only let in the light, but provide a design feature both internally and externally. Glazed gables work well when combined with timber surrounds such as timber-clad ceilings or oak frames and are particularly suited to extensions for period properties. The Glass Ceiling. Think walk-on rooflights taken a step further. Instead of installed in your roof, you put them in your floor. Or is that your ceiling? It all depends on where you are in your home! Replacing a traditional floor with a glass one – or what is in fact a walk-on rooflight, can channel additional light into the lower levels of your home where it may not normally reach. Not only that, a glass floor adds the wow factor to any home. Don’t think of this as something for new builds as a glass floor can be retro-fitted or incorporated into a conversion. Roof Lanterns: Perfect for more traditional and period homes. Roof lanterns raise your ceiling height as well as flooding the area below with natural light. Roof lanterns are an increasingly popular choice when planning a kitchen extension or for sensitive or listed buildings. They combine the classic charm of yesteryear with the demands of modern living. 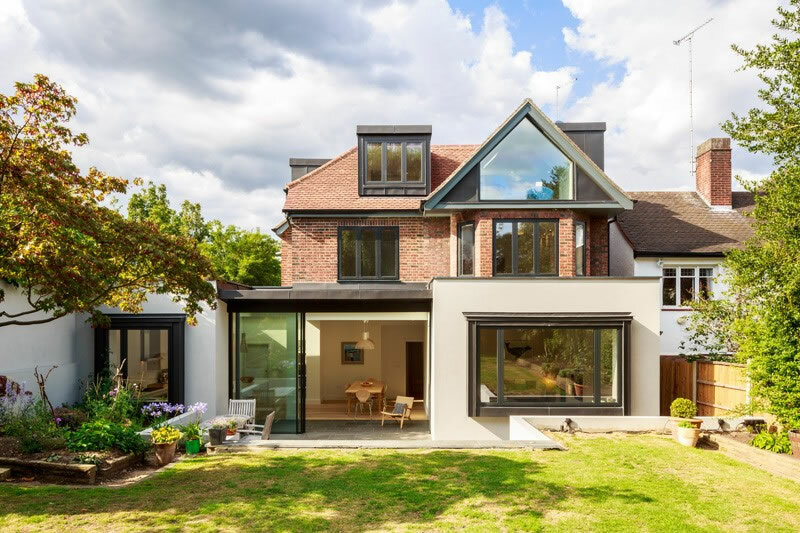 The Glazed Link: Structural frameless glazing is used as a bridge between two existing sections of a home or links the main home to a larger, separate extension. The glazed link can also become a living space in its own right. Structural Glazing: Glazed walls. A glass roof. Wrap-around corner glazing. 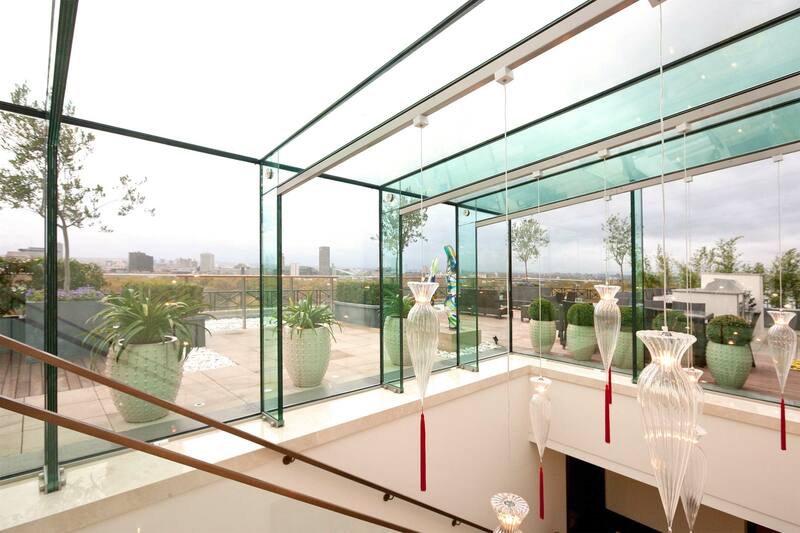 Glass balustrades. Glazing is the one architectural material that can be designed to bring light into any space. Structural glazing solutions bring the maximum amount of light into the interior, turning ordinary rooms into extraordinary lightwells. More visionary homes can be seen in our gallery and case studies pages on our website. Vision AGI have both the vision and the expertise to innovate via glazing design. If bringing more light into your home is your goal and by the most beautiful and light-enhancing means possible – then talk to us. Vision AGI – Glazing systems for visionaries.